As The Times-Picayune reports today, Drew Brees is so much the team leader of the Saints, he’s the one footing the bill for the most part when it comes to the offseason workouts of the Saints. The turnout was impressive. On a blustery morning under threatening skies, 37 Saints showed up and participated in the second of the thrice-weekly two-hour sessions. Other teams have conducted similar programs. But few if any have experienced the kind of widespread participation the Saints received this week. Every position group was represented. Young and old. Contracted and free agent. Offense, defense and special teams. Stars, role players and practice squaders. 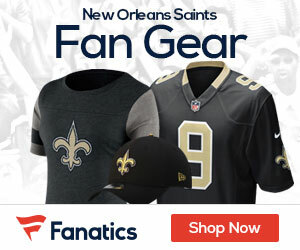 Marques Colston came in from his offseason home in California. Jon Vilma, Darren Sharper and Heath Evans jetted in from South Florida. 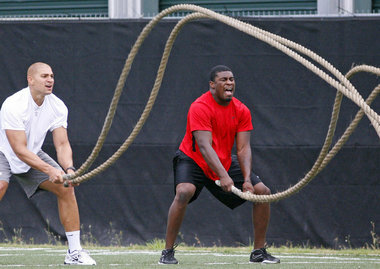 Jermon Bushrod was working out in Atlanta. The showing is a testament to the character and commitment of the Saints’ players. It’s also an homage to the force of Brees.